Thinking about a luxury secluded and private intimate wedding for two in the Bahamas– like the stars who have been married on private cays on our shores? Look no further … Chic Bahamas Weddings can create a unique bespoke experience just for you! With 700 islands and cays to choose from, there’s certainly no shortage of private venues for your Bahamas wedding destination. Imagine a deserted beach with turquoise clear waters as a back drop. Islands that come to mind include the Exumas, the Abacos, Eleuthera, Andros … to name a few. Celebrations at Chic Bahamas weddings’ venues may be created to meet your vision and style. Featured today is a Bahamas wedding for 2 itinerary of events for an event that took place at Exuma’s Turquoise Cay Boutique Hotel and Big Bay Beach, Little Exuma. The bride’s wedding style was elegant … a dress that she could not find in her home country, Kenya and a super private affair. Our groom arranged all the details for the special day. Here’s how a two Bahamas Island destination wedding unfolds … in this case, the two islands are Nassau and Exuma. 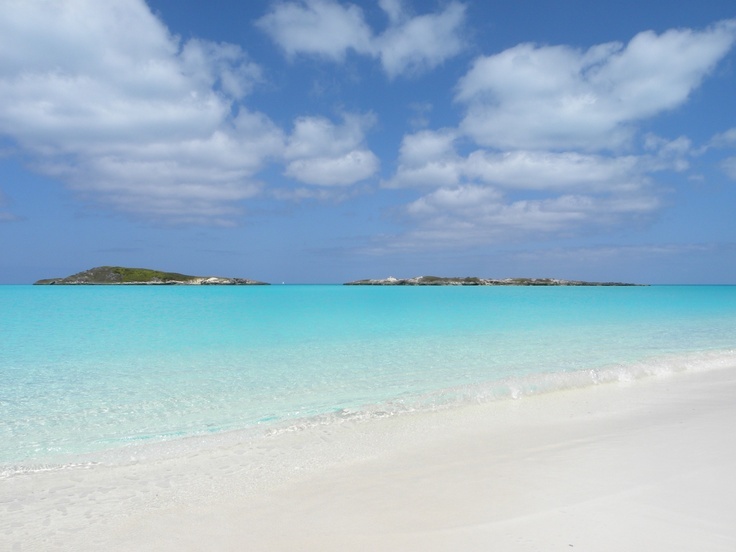 Other combinations are possible … Great Exuma and Staniel Cay, Exuma, Grand Bahama and Abaco or Grand Bahama and Eleuthera. The possibilities are endless and exciting! 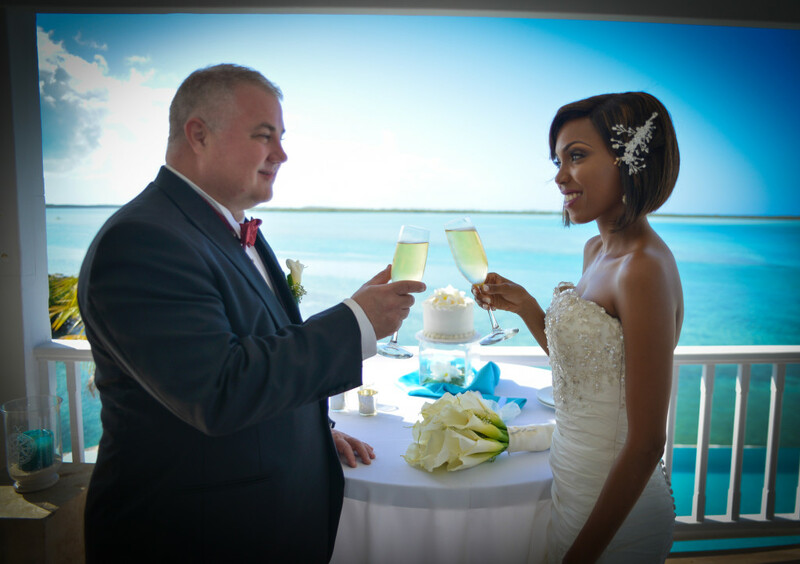 Luxury Exuma Bahamas Wedding for 2 – WEDDING DAY!!!! 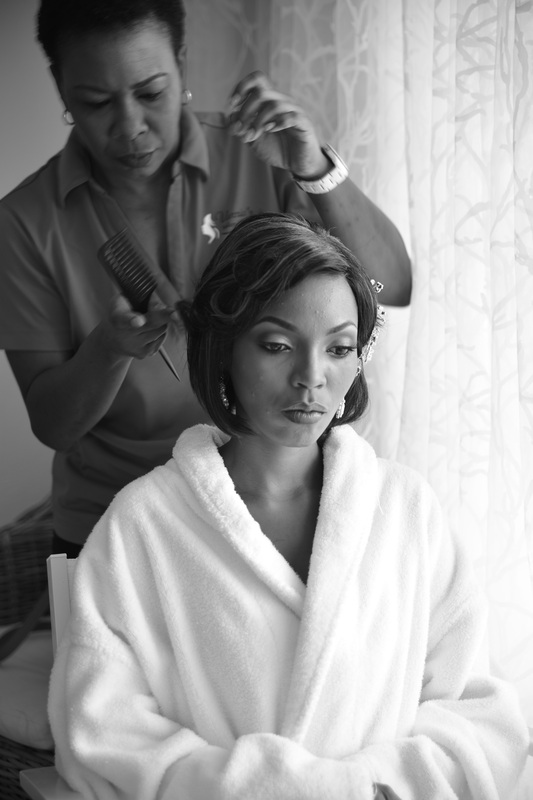 Beautiful bride Jackline receives in-room hair-styling by Vanria. Exuma Bahamas Wedding for 2 Gourmet Dinner – 7-course tasting menu paired with wine, private candlelit High Tide Veranda overlooking the beautiful Turquoise Cay. Handsome couple – David and Jackline as they toast. Let Chic Bahamas Weddings work with you to plan your one of a kind day. Contact us now to start planning!